Insets show close-up details of the three sites. 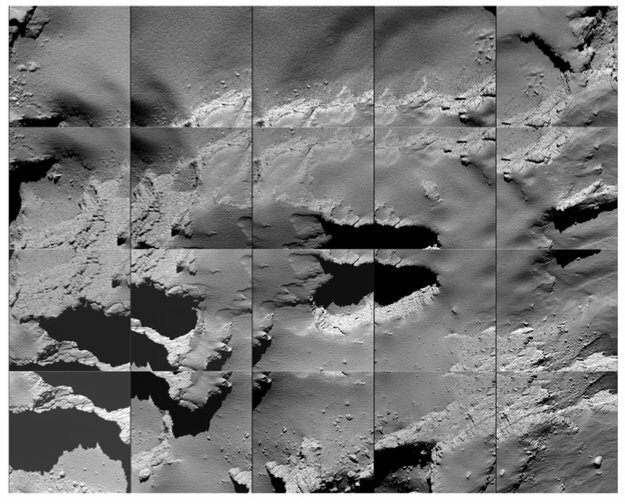 Philae’s first touchdown in Agilkia was captured by the lander’s descent camera ROLIS; the image shown here was taken from a height of just 9 m above the surface on 12 November 2014, and has a resolution of 0.95 cm/pixel. The view at Philae’s final touchdown site, known as Abydos, was taken by the lander’s CIVA camera on 13 November 2014; the image shown here is a two-image mosaic, and includes one of the lander’s feet. 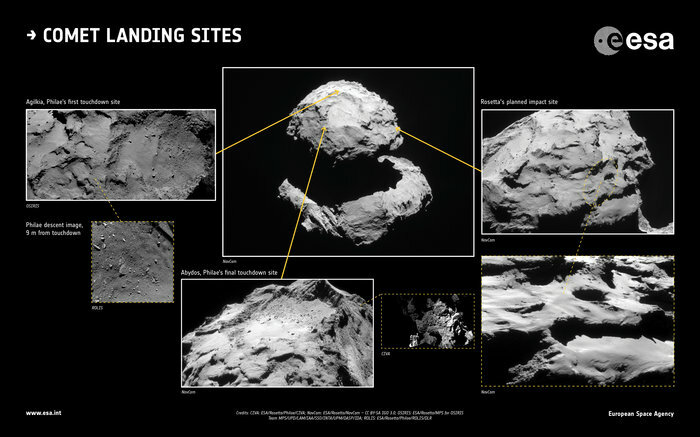 Rosetta is destined to make a controlled impact into the Ma’at region of Comet 67P/Churyumov–Gerasimenko on 30 September 2016, targeting a point within a 700 x 500 m ellipse (a very approximate outline is marked on the image). 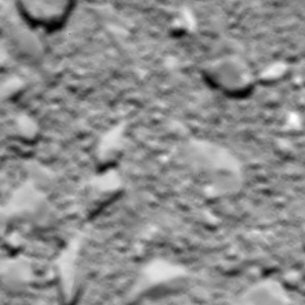 The inset was taken with Rosetta’s Navigation Camera on 13 October 2014 from a distance of 16.8 km; the full frame original image can be found in the Archive Image Browser.